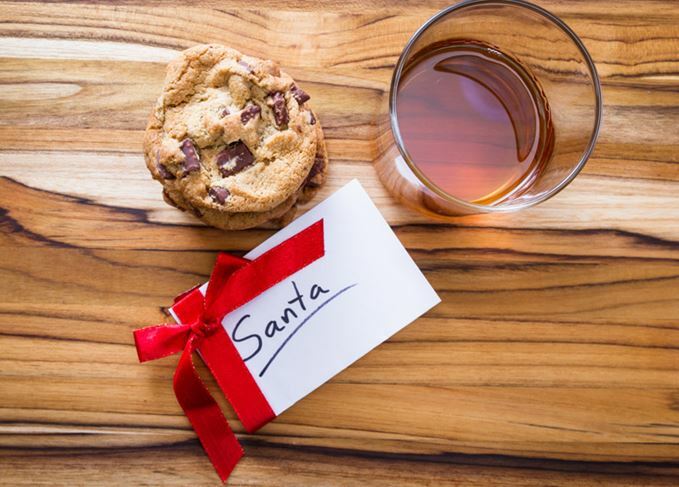 Strict spending limits and short notice make finding the right Secret Santa gift a challenge. Talk about pressure. If you’ve picked out a whisky lover for your Secret Santa, don’t fret – we’ve got gift ideas to suit any budget. Secret Santa is always a lottery. Chances are you’ll have the perfect gift in mind for one of the names in that hat, but you’ll end up picking Kevin in accounting who you might have met. Once. You think. Sure, you could buy him a generic calendar or musk-scented body wash. A safe bet, probably, though could you bear seeing that look of forced appreciation as he tears open the paper at the Christmas party? Poor Kevin. It helps to know a little about the person you’re buying for, and luckily, if you know your recipient adores whisky we’ve got the perfect gift for you. Regardless of your own whisky knowledge – or budget – these gifts for £5, £10, £15 and £20 will see you go down in history as a Secret Santa legend (at least until next year anyway), and have your Kevin feeling like they’ve won the lottery. With this generous budget you can afford to purchase a great quality bottle of whisky, from the smoky Black Grouse to Johnnie Walker Red Label and Irish whiskey Jameson. If that’s too easy, why not opt for a gift with a difference. Broaden your whisky fan’s horizons with five miniature Steel Aged Manhattan cocktails from World of Zing (worldofzing.com; £17.50), made with Bulleit Bourbon and Szechuan-spiced bitters. If they have a particularly sweet tooth, the Edible Whisky Cocktails from Smith & Sinclair (smithandsinclair.com; £15.99) will no doubt impress. With each treat containing half a shot of whisky, they’re a fun, boozy alternative to a dram. For the more serious whisky aficionado with high expectations, this beautifully presented hipflask from John Lewis (johnlewis.com; £20) will make them your new best friend (if they’re not already). Bonus is it comes with a mini funnel and a pair of cups for, you know, sharing. Give the gift of education this Christmas with a copy of the Malt Whisky Yearbook 2018 (waterstones.com; £13.95), a one-stop guide to all Scotland’s whisky distilleries, plus many more around the world. An invaluable book that will have your recipient reeling off distillery facts like a pro. For £15 you could get away with gifting a half-bottle of Scotch single malt available at most supermarkets and whisky retailers, but you could also pick up an item we’d bet they wouldn’t have. This beautiful Glencairn water jug (wineware.co.uk; £14.95) is for the more serious whisky taster, who’s partial to adding a drop of H2O to their dram to open up the flavours. Perhaps your recipient is the kind of person who likes a little atmosphere in which to enjoy their whisky? This Whiskey Mac candle (notonthehighstreet.com; £12.95) burns for a full 34 hours filling the air with a vanilla-rich whisky scent. The bonus is it comes in a heavy cut glass tumbler, which can be reused afterward for the next dram. That’s two gifts in one in our book. As far as budgets are concerned, a tenner is the golden ticket to Secret Santa success, thanks to such a wide availability of whisky-related, value-for-money gifts. The most popular item this year has to be the boozy bauble, a simple tree decoration filled with a dram of your choice. There are a handful to choose from, including expressions by Lakes distillery (six for £35) and Douglas Laing & Co. (four for £48), but with just £10 to spend you can’t go wrong with a single whisky bauble from The Whisky Exchange (thewhiskyexchange.com; £9.95). Select your 3cl filling from a variety of whiskies including Clynelish 14 Year Old, Talisker 10 Year Old, Nikka Blended and more. Over at budget supermarket Aldi you have the opportunity to really impress your whisky enthusiast with a trio of miniatures from one of the hottest names in single malt Scotch this year. While they may not carry the age statement of its older sibling – one of the supermarket’s fastest-selling whiskies this year ­– Aldi’s Glen Marnoch triple pack (aldi.co.uk; £7.99) features three single malts finished in Sherry casks, Bourbon casks and rum casks. Here’s a gift for whisky lovers who are partial to a cold one, or three. Eden Mill, Scotland’s first combined brewery and distillery, is offering a three-pack of craft beers, one of which is aged in a whisky cask. Plus, the gift pack (edenmill.com; £10) comes with a brewery tour for two people that includes a beer on arrival, tour of the brewery plus a six beer tasting session (normally £15). Sounds like a winner to us. Impressing with a low-cost Secret Santa can be a challenge, but luckily there are plenty of exciting whisky gifts to be had for less than a fiver. A Glencairn glass (masterofmalt.com; £4.95) is a vital piece of kit for any whisky lover, whether beginner or connoisseur. Its shape is designed to heighten the aromas of whisky, allowing for a more appreciative dramming experience. If your recipient is likely to already own glassware, then why not choose a dram for them to enjoy? Both Master of Malt and The Whisky Exchange offer a variety of whiskies from around the world in convenient (and affordable) sample form. Choose a well-known bottling like Auchentoshan American Oak (3cl; £4.32) or Balvenie DoubleWood 12 Year Old (5cl; £4.95), or go wild with something a little different, like Cameron Brig single grain (3cl; £4.25) or blended Scotch Whyte & Mackay 19 Year Old (3cl; £4.70). For something a bit more light-hearted and fun for the young-at-heart, you can’t go wrong with a pack of Whisky Top Trumps (cgarsltd.co.uk; £4.99). Be selective about your whisky-drinking moments for optimum cheer, and have a very Merry Christmas. Some recommended whisky-related reading matter for the forthcoming festive period.